These galleries were once on the front page. 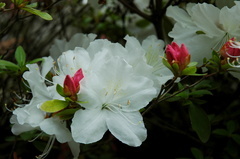 If you love azaleas this is the gallery for you. Every spring the azaleas in my yard are spectacular. Here is a sampling of the best of them taken over the years. I visited a butterfly house the other day. 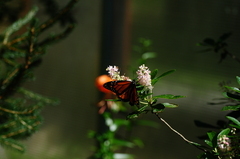 I got some nice photos of a few different types of butterfly. They were very active and not easy to capture with my camera, but I had a good time trying. I had some success, and I hope you enjoy the pictures. 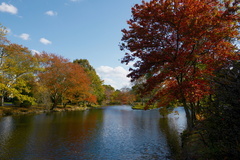 I've been visiting and photographing these lakes for years during the fall leaf season. This gallery contains photographs from several of those visits all taken with three different cameras: the Nikon D70, D300s and D800. I think you will find them as beautiful to look at as I do. Enjoy the view! 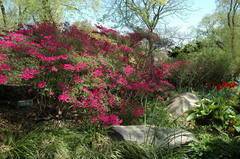 There is much to see at the Brooklyn Botanic Garden. On this day in May of 2007 the famous cherry trees were in bloom. These pictures try to capture some of the garden's many wonders. Brightwaters is a village on the south shore of Long Island. 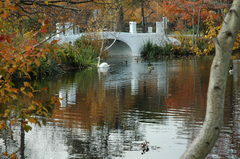 Nestled in a quiet neighborhood is a lovely bridge spanned lake where the views are some of the prettiest on Long Island, especially in autumn. This was my earliest Brightwaters gallery. 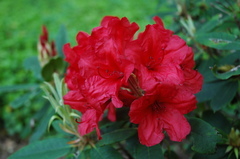 When rhododendrons bloom in the spring time they produce very beautiful flowers. Here are a few varieties from around my yard. 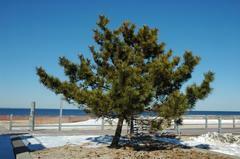 Here are some scenes at Crab Meadow Beach, Long Island on a snowy day in March 2005.